You have set an Amazing Goal for the New Year. It’s big, audacious, and will certainly change your life. 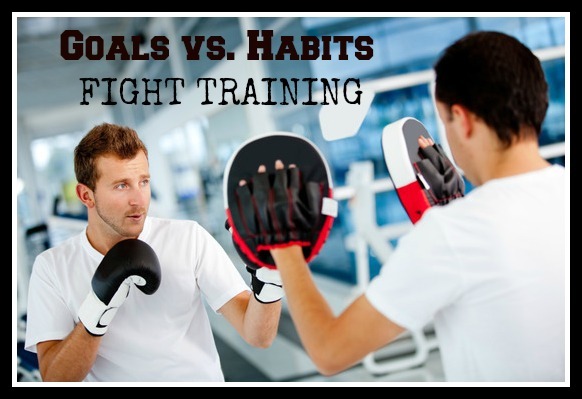 Yet it will directly compete with two or three really entrenched habits that you have. How can you best prepare for the onslaught? To plan out a goal, I like to start with the updated S.M.A.R.T. Goals framework. It’s a great way to get the pieces in place, and focus on the goal. Here are the five tenets. 1. Specific: Your goal needs to be specific in nature. There needs to be a clear definition of what you are going after. For example, if one of your goals is to buy a new car, it would be a lot easier to achieve the goal if you had a specific make and model written down. A new yellow Corvette with V8 gives you much more information about price and style than “sports car.” It’s also a good idea to break down big numbers into understandable terms. A $ 40,000 car sounds unreachable, but if you break it down into monthly payments of $ 500 for 5 years, it is easier to put it into perspective. 2. Measurable: As you are working towards your goal, you need a system of measurement to make sure you are making progress. For example, if weight loss is a goal, tracking your weight or inches around your waist are measurable units that will indicate progress. By setting a timetable and milestones along the way (such as losing 2 pounds/ week) you know if you are on track to reach your goal. 4. Realistic: This means that what you are trying to do needs to be within your control. For example if your weight loss goal means eating less, you have to be in control of your diet. If you don’t have a gym membership, going to the gym is out of your control and not realistic. 5. Time Bound: How much time do you need to allot to reach this goal? Setting a realistic time table is crucial to accomplishing your goal. Many times people underestimate how long something will actually take to accomplish. Breaking down long term goals into monthly/ weekly/ daily pieces is a great way to measure your progress. So with our SMART Goal steps outlined, lets take a look at how they would work. I’ll use myself as an example. For the New Year I want to complete three more non-fiction eBooks to complete my LIGHT series. Here is how I have written this out using the updated SMART system. Time Bound: Five weeks to write each book, 20 weeks total with overlapped editing. This is a pretty straightforward plan. Since I have already written the first two books in the series, I know about how long each book will take, and how many words/day is realistic given my current schedule. I plan to make these a similar length and price them at the same price point as the first two. Since I have an editor who works pretty quickly on these smaller books, I can have her editing the first while I’m writing the second. With this overlap, I should be able to comfortably finish and publish the three books in 20 weeks. Unless we deal with the entrenched habit, we may be able to do the new routine for a few days or maybe even a couple of weeks. This change of routine will require a lot of Willpower. Unfortunately, we all have limited reserves. When we get tired, or low on energy, its really easy to fall back into our old ways. Lest I totally depress you, there is hope. In fact, there is a way to take our SMART Goals and make them SMARTER. In our next post in the series, we’ll look at a two simple letters we can add to our Smart Goals routine and increase our chances of success by 50% or more. So far we have created a new goal plan that meets most of our criteria. Deadline for Completion: We have a firm deadline for completion. Tune Up Your Skills: We’ll look at a Skills Tune Up once we get started. Do a Trial Run: Once we put all the pieces together we’ll do a trail run. Stay tuned as we turn a big corner for success in our next post.